I was able to catch The Flex and Violent Reaction tour a couple months ago. Both UK bands were excellent as expected. I did think The Flex was better live than their counterpart, even though I prefer Violent Reaction on recordings. 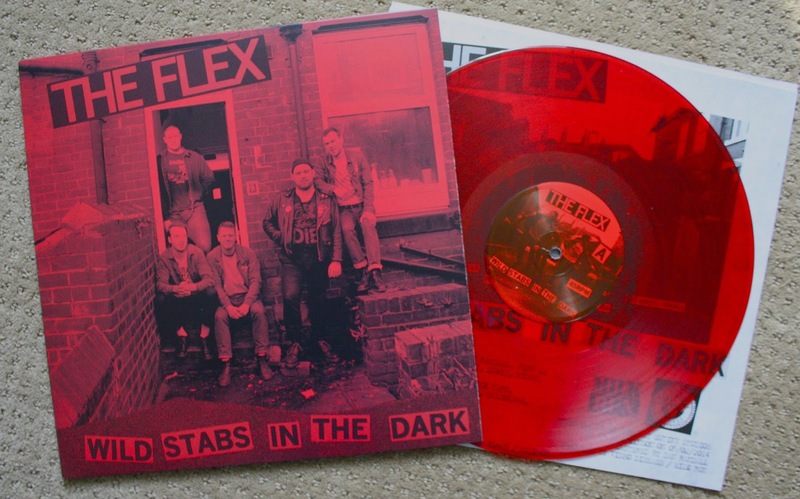 The Flex's debut LP "Wild Stabs in the Dark" is one of the most hyped albums of 2014 and rightfully so. This is a very good record and appears to already be out of press. Similar to their "Scum on the Run" EP, all copies were pressed on red vinyl. I believe this was out of /1000 copies. Furthermore, they reign from the same town as my boy Jake and my favorite European football club, Leeds United. Great record!! Glad you got to see them stateside brother! Seeing them in a leaky basement was an amazing treat. Did you hear they got signed to Lockin' Out? These dudes are going to blow up like crazy. Great that they did both releases on the same color, consistency is key. Awesome stuff man. Also, I gotta check out the FLC more.